As Variety reports, the people behind Donald Trump For President (he is already campaigning for his second term) wanted to buy airtime to run an ad trumpeting the orange one’s many “achievements” in his first 100 days in office. These actions mostly involve reversing executive orders from the previous administration, such as restarting the Keystone Pipeline and attempts to dismantle the Affordable Care Act, which the ad warns you won’t hear from the mainstream media, because news organizations like CNN and MSNBC are “fake news.” Here’s the commercial, which ends with Trump’s approval of the message. In addition to having all the gravitas of a Budweiser commercial, the video slaps a graphic bearing the words “fake news” over images of Wolf Blitzer and Rachel Maddow, which is a sick burn, we guess, but it’s just not going to fly at CNN. The network requested that the graphic be removed, but the advertiser refused, so CNN declined to run the ad. 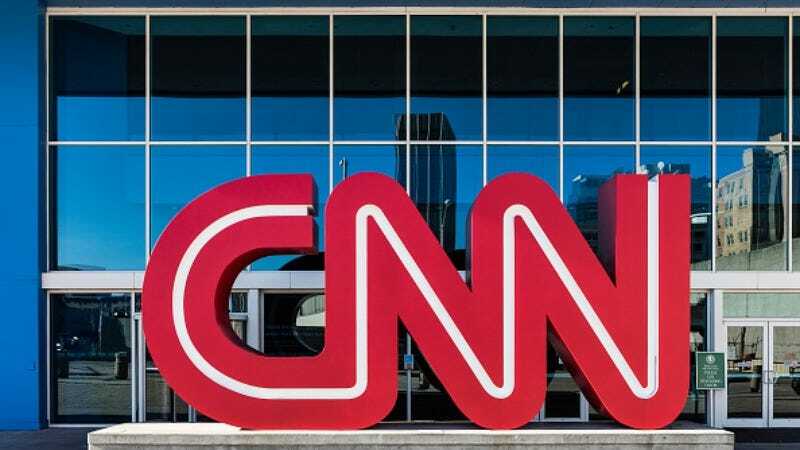 Michael Glassner, the executive director of Donald J. Trump for President Inc., claimed to find the whole thing “shameful,” saying CNN was “blocking the positive message that President Trump is trying to share with the country. It’s clear that CNN is trying to silence our voice and censor our free speech because it doesn’t fit their narrative.” Trump has yet to respond to the kerfuffle, as he’s busy debating the prescience of Andrew Jackson.